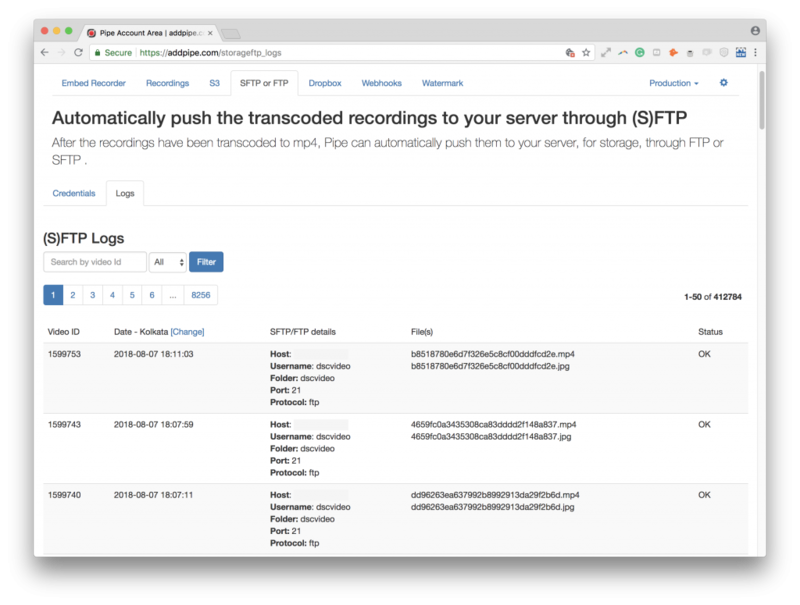 One of the lower priority items we worked on when we added the ability to push the recordings to your preferred storage was showing the logs created in the process. Given the development time constraints at that time, we’ve decided to just show the logs for the last 100 attempts and in the case of an issue just manually go to the database and extract all the relevant logs. In case of a failed push attempt, we now retry every 2 minutes for 3 days. That results in 2160 retries over 3 days and just as many log entries. We’ll soon move on to a system where we attempt to push at increasingly higher intervals over 3 days and even stop in some cases like when the FTP credentials are incorrect (FTP_LOGIN_FAILED).